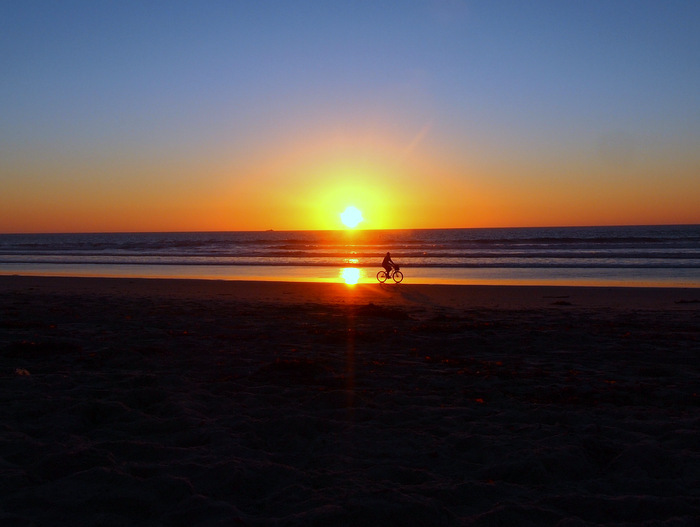 A visit to San Diego is not complete without a few trips to the beach. 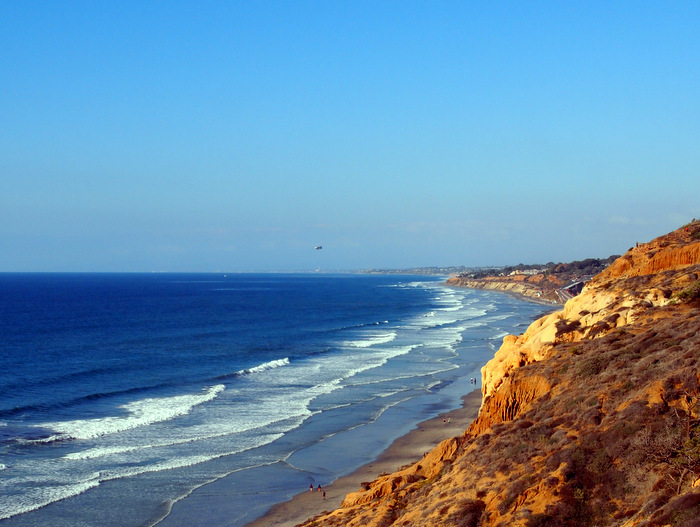 We’ve gotten in a good amount of beach time since arriving at the beginning of the month, and were excited to share some of the amazing pacific coast with Carol. 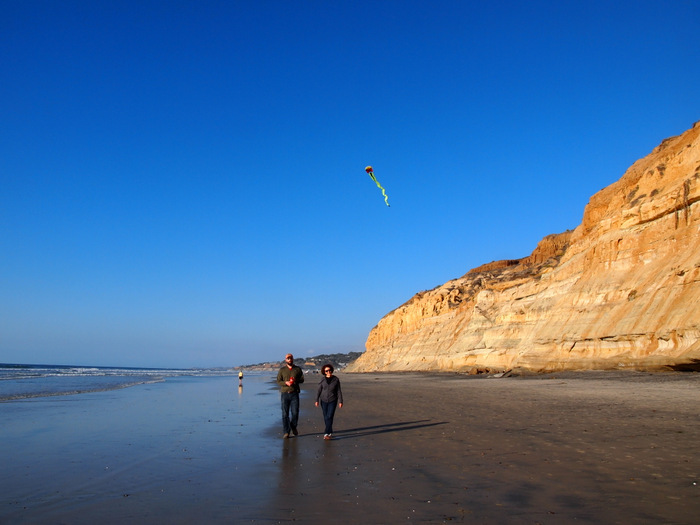 First we headed north to the Torrey Pines State Reserve where the beach is wild and pristine. 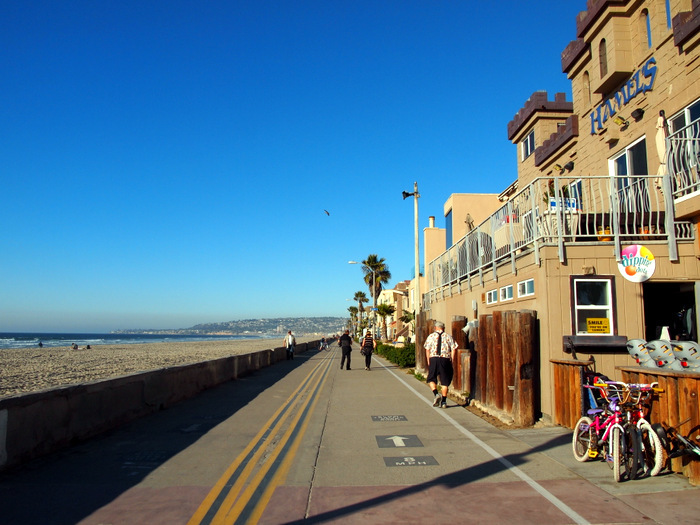 For a completely different beach experience we walked along the Pacific Beach boardwalk. 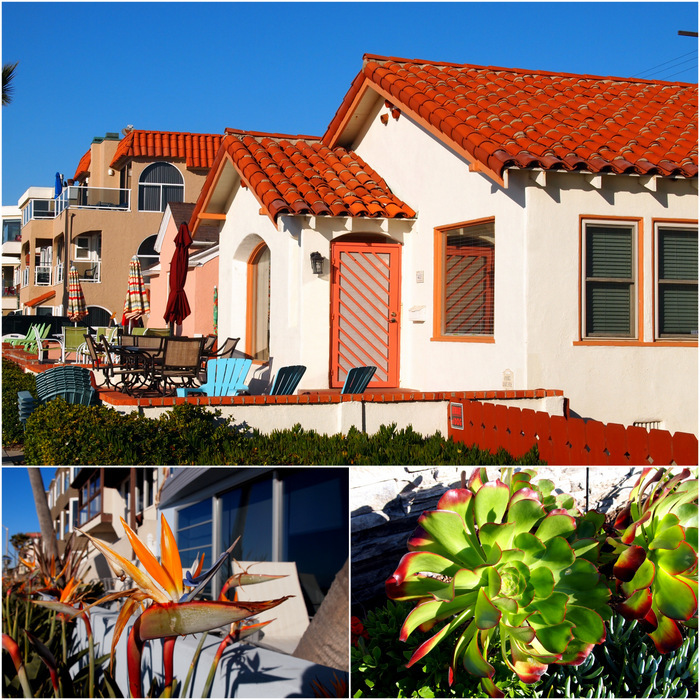 The cute rental cottages and colorful plants along the boardwalk add to the experience. 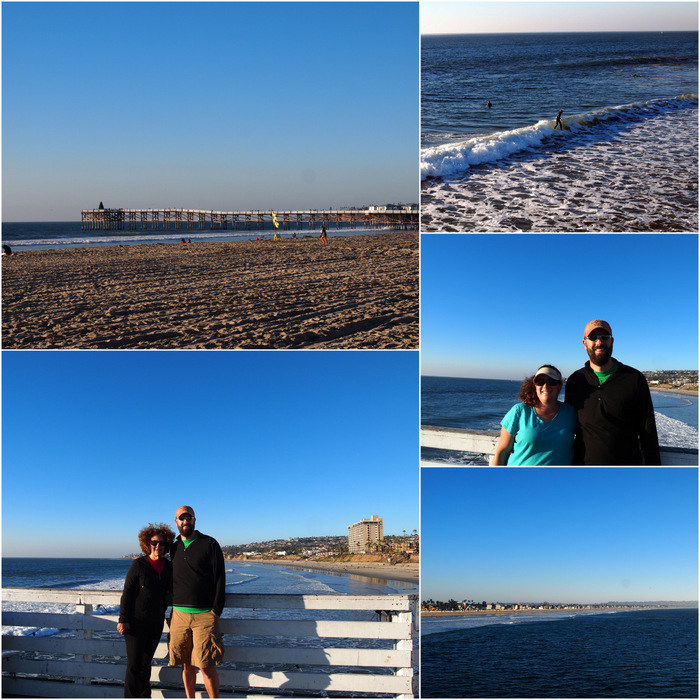 We walked all the way out on the pier and watched the surfers riding the waves. Finally, we strolled back along the shore and stopped to watch the sun sink down below the horizon. 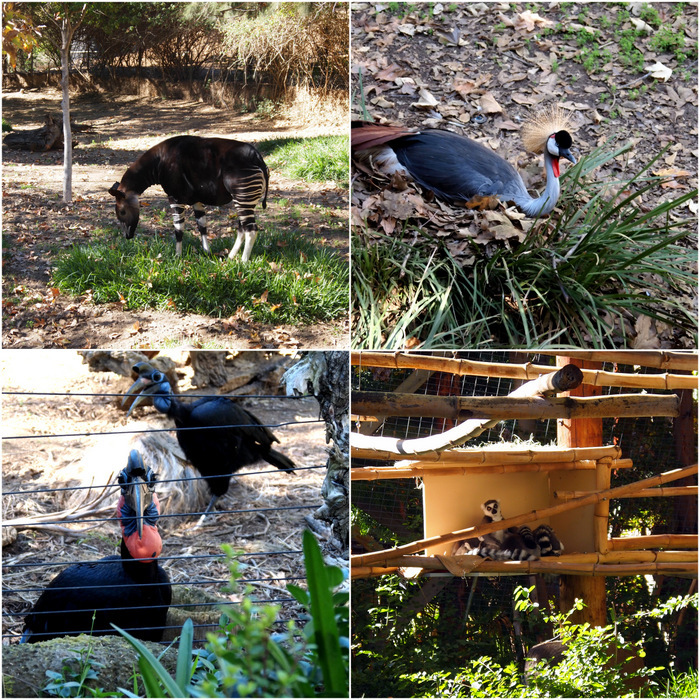 Another classic San Diego adventure that we wanted to share with Carol was a trip to the zoo. 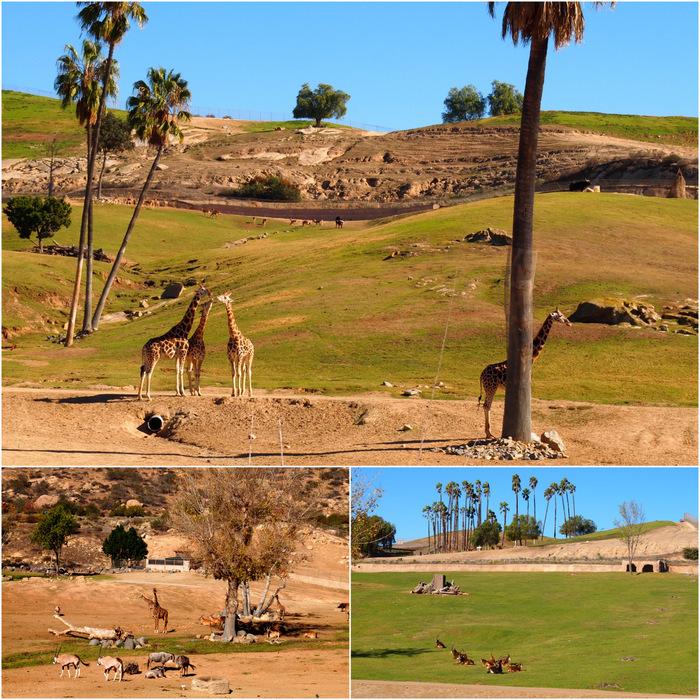 Last year we had a blast touring the world famous San Diego Zoo, so this year we decided to check out the Safari Park. 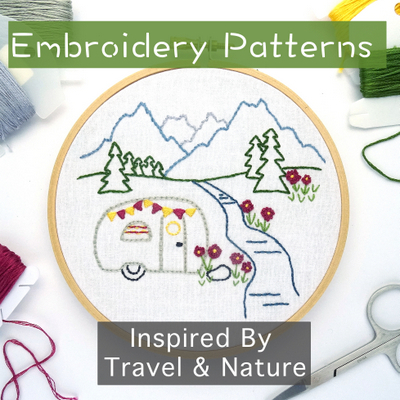 Located on the outskirts of the city, the Safari Park covers 1,800 acres of land and features animals from all over the world in large, free-range enclosures. Even some of the smaller exhibits are much larger and natural looking than what you find at any zoo. 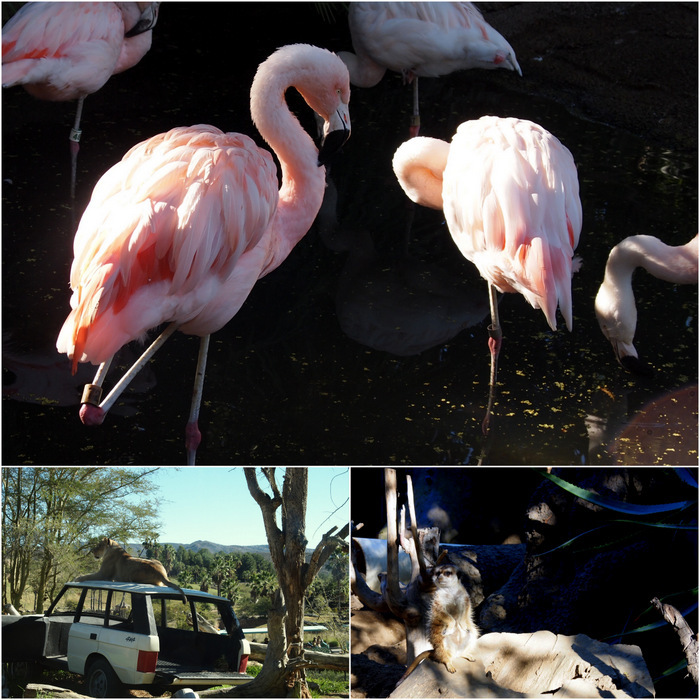 The Safari Park has a few different safari options such as a cart safari or a caravan safari that offer an up close and personal encounter with the animals. They even have an option called the Roar and Snore where you can “camp” overnight in the park among the animals. All these safaris cost big bucks in addition to the price of admission, so we decided to to just stick with the basic experience. The option that was included in our ticket was the Africa Tram which took us out and around the Africa Plains area where numerous animals roam free (well, as free as you can get in a zoo). It was a guided tour with some great information offered up, and we all agreed the tram ride was the best part of the park. We also loved the elephant area. 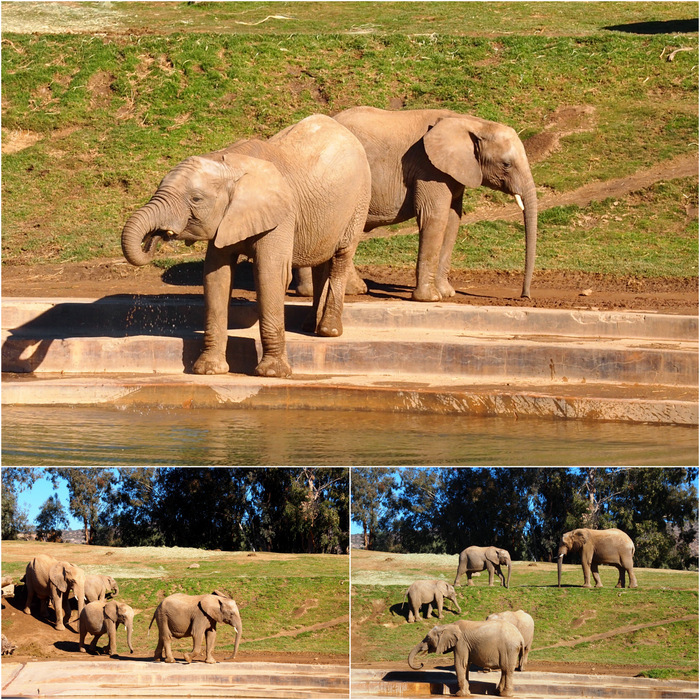 There were at least half a dozen elephants roaming around in a huge exhibit. They were very playful and we had a blast watching them interact with each other. After visiting both the zoo and the safari park I would have a hard time choosing a clear favorite. The zoo definitely offers up a larger volume of animals, but the animals at the Safari Park are clearly given a better existence in their large, more natural enclosures. Great Pictures! What kind of camera do you use? I have a iphone and would to purchase a new camera but I’m not sure what kind to buy. Thanks Janet! The camera we have is an Olympus Pen. I can’t remember the model number, but we’ve had it almost 5 years so it’s one of the older models. The Olympus is a micro fourth-thirds camera which basically means that its a DSLR with a small body that’s easy to carry around. For us that’s important because we like to bring it on hikes. I also take lots of photos with my iphone, and some of those end up on the blog. Most landscapes (and all the photos in this post) are taken with the Olympus.